We were introduced to Panetone, a sweet yeast bread with fruit baked in, when we lived in Italy. I’m not a big fan of fruitcake, unless this qualifies. 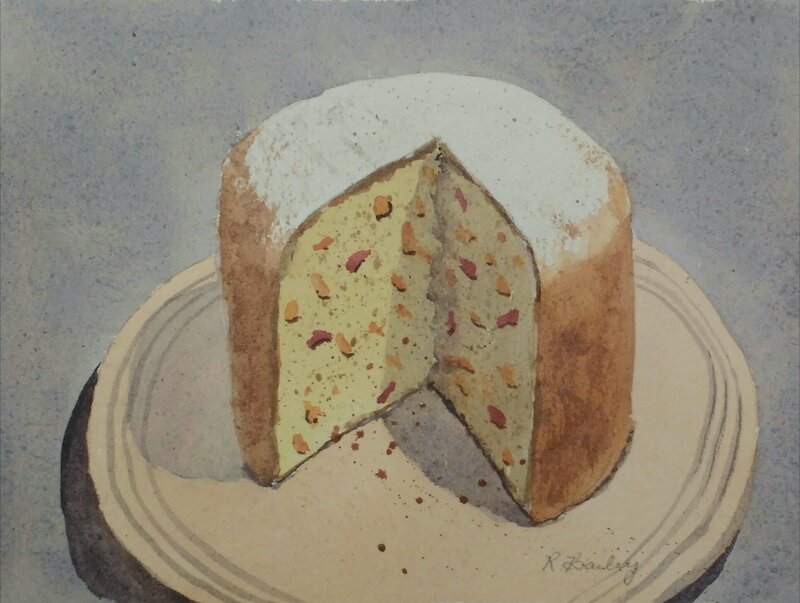 Yesterday’s prompt on Doodlewash was “fruitcake” but I couldn’t paint this until after I finished baking it today. My sons and husband patiently waited until it was cool enough to cut. Hopefully we will have some left to eat on Christmas! I love Panetone. I often give them as gifts at Christmas. But I have to confess: I buy mine instead of baking them. Last year was the first time I made one. I have a mixer with a dough hook, so it isn’t difficult, but takes a lot of “waiting” time.